EUROMIL continuously advocates human rights including LGBTI rights of armed forces personnel as “citizen in uniform” since its foundation almost half a century ago. As “citizens in uniform” soldiers should be entitled to the same rights and freedoms as every other citizen in a democratic society. During the last years, one could observe that the armed forces of Western countries were making an effort to gradually become reflective of the societies they serve: women were allowed to join the armed forces, bans on LGBTI people were lifted and increasingly, people with a migration background and different beliefs enlisted. 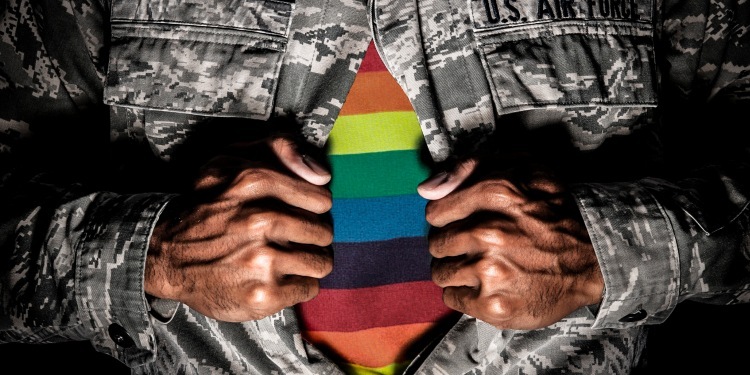 Without any doubt, there is still a long way to go to fully integrate LGBTI people in the armed forces, to grant them equal rights and opportunities and to fight discrimination and prejudices. The decision of the U.S. President to ban transgender person from the U.S. military is however a step back in time. There is absolutely no evidence suggesting that the inclusion of transgender people in the armed forces has a negative impact on operational effectiveness. On the contrary, there are numerous studies showing that diverse teams perform much better than homogenous ones. Furthermore, the decision was taken based on a “consultation with Generals and military experts” and sadly failed to involve other important stakeholders such as human rights and diversity experts, soldiers’ representatives and parliamentarians. Finally, the decision violates international human rights commitments of the United States and sends a very negative message about status human rights to other military institutions and human rights defenders worldwide. In democratic countries, the military serves the people. It should therefore be fully reflective of the society and no group should be excluded from joining the armed forces.